Politics of Pakistan: Shahbaz Sharif to be sworn in ad CM Punjab on 6th June. 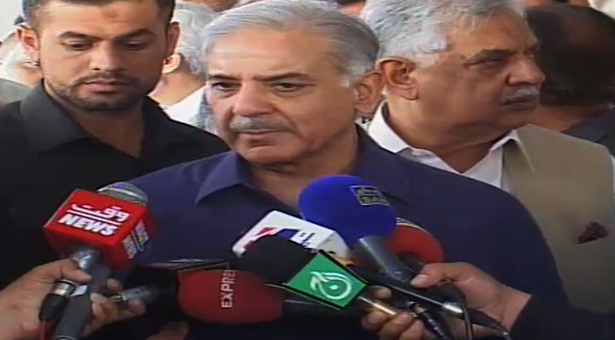 Shahbaz Sharif to be sworn in ad CM Punjab on 6th June. Caretaker Chief Minister Punjab Najam Sethi announced on Sunday, that Shahbaz Sharif will be sworn in as Chief Minister Punjab on Thursday 6th June 2013. First to hold office, for a third time. Shahbaz Sharif will become the first person to hold the office of Chief Minister for a third time. This has become possible after the two time limit of holding public office was removed in the 18th Amendment passed by the parliament in April 2010.